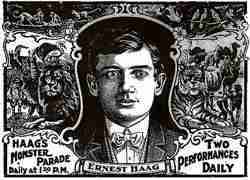 The Mighty Haag Circus was owned by Ernest Haag and was one of the best known southern circuses. 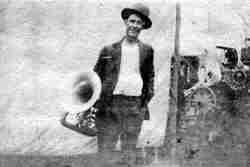 The show started in the 1890s in Louisiana as a wagon show. 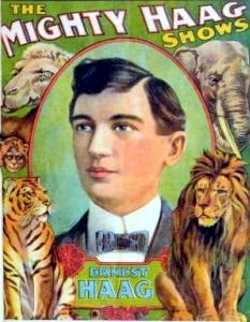 The circus continued for forty more years. 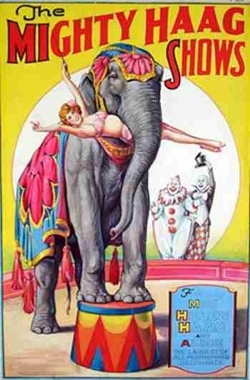 In 1909 the show moved from wagons to rails. 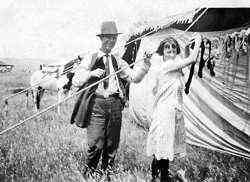 Hard times hit in 1914 forcing the show to return to wagons. 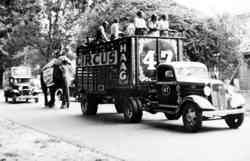 In 1918 the circus began adding trucks as their transportations. 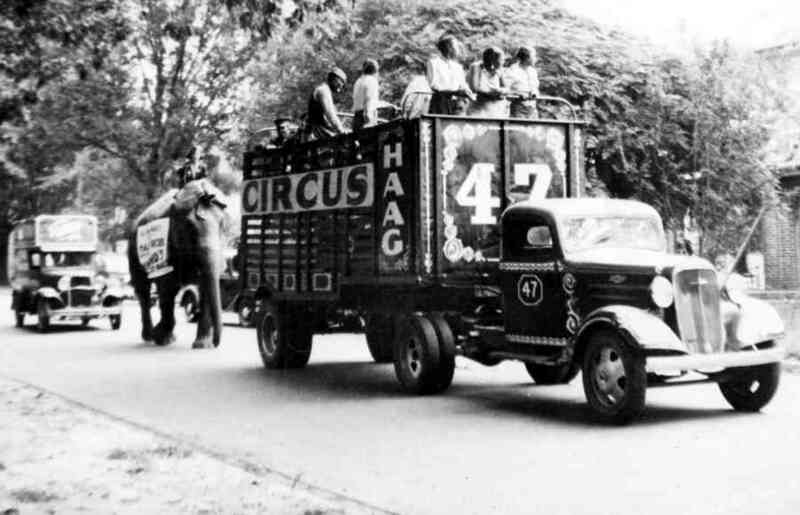 By 1929 all wagons had been replaced by Trucks. Ernest Haag died in 1935, his circus continued to show it's southern route until 1938.
and it's owner Ernest Haag.